You owe it to research all of the candidates' positions and their past and then decide based on that who you are for rather then who you are against. I pray that you look to your family first then your local community for answers to problems within your life since looking to the government to be your saver through tax payer supported programs has hurt our families and even society. Stop voting for your pocket book, for your security and start voting for your rights, your liberty. Again I must stress that you stop voting for the lesser of two evils and start voting for every politician that you believe is for liberty. 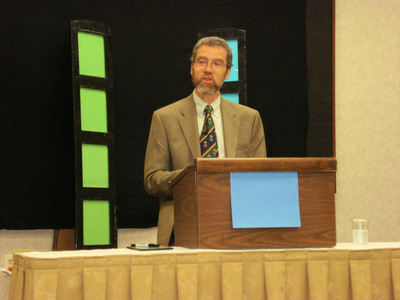 Dr. Stephen Baskerville, Ph.D., author of Taken Into Custody, was in Okemos Michigan recently and spoke at the Battle of Ideas which is produced by John Mangopoulos. John produces an incredible show! In the video below Murray B. Davis, President of the National Family Justice Association, asks a question to Dr. Stephen Baskerville about the 2008 Presidential Election and the potential effects on families. Keep this in mind about Barack Obama, which is not mentioned in the video below. Barack Obama is the main sponsor for the Responsible Fatherhood Act and the contents of this bill makes it clear that Barack Obama is not good for fathers in America. In this bill he mentions child support 65 times, but NOT ONCE does he mention parenting time, custody, visitation, or access denial. There is much more to being a father than just paying your child support! All this bill does is further stereotype all fathers as deadbeats. Phyllis Schlafly discusses this. Honestly, I am not thrilled over either one of our choices this year for President. Why is the American family in crisis? Taken Into Custody argues that the most direct cause is the divorce industry: a government-run system that tears apart families, separates children from fit and loving parents, confiscates the wealth of families, and turns law-abiding citizens into criminals in ways they are powerless to avoid. Why the "deadbeat dad" is not only a myth but a hoax, the creation of government officials and lawyers who plunder parents whose children they have taken away. How hysterical propaganda about domestic violence is destroying families, endangering children, and making criminals of innocent parents. What drives the rash of "parental kidnappings". Taken Into Custody exposes the greatest and most destructive civil rights abuse in America today. Family courts and Soviet-style bureaucracies trample basic civil liberties, entering homes uninvited and taking away people's children at will, then throwing the parents into jail without any form of due process, much less a trial. No parent, no child, no family in America is safe. John McCain will Never Get Our Vote! Our favorites are Ron Paul and Mitt Romney! John McCain will NEVER get our vote! 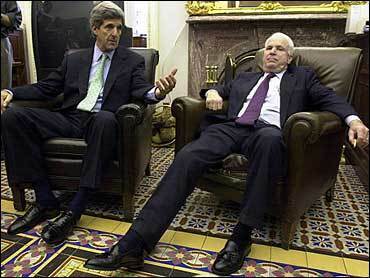 Who will be running our country as John McCain takes his naps? We will NOT vote for John McCain if he receives the Republican nomination for President. We are conservatives and we REFUSE to give him our vote. John McCain is NO conservative and with the exception of his service to our country we do not like what he stands for – moving the Republican Party to the left. He is FAR too liberal and it makes us ill to see what is currently happening to our party. Even if the Republican Party calls for unity around John McCain you will NEVER get us to vote for him. We also know MANY who feel the same way! If McCain receives the nomination I know MANY conservatives who will either sit out on the November election or they will back a third party candidate. 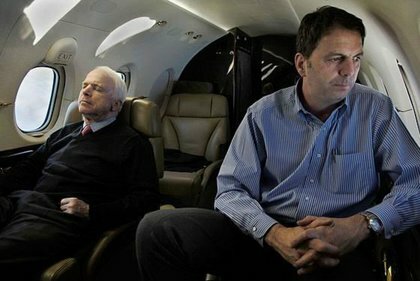 If McCain receives the nomination you will see all of the pundits talk about how conservatives sat out of the November 2008 election. Mark my word! Republicans would be foolish to nominate McCain. There has been a lot of talk about Ronald Reagan during the Republican primaries. Republicans who are voting for McCain must be smoking something if they think that McCain is even close to Reagan. A Mitt Romney –Pres / Mike Huckabee – V.Pres. combination would be powerful and would defeat either Clinton or Obama! Once again, NOTHING could ever make us vote for John McCain as President. We know MANY who agree with us. [amended] McCain's track record on fatherhood issues? John McCain stance on father’s rights or equal parenting rights is horrible at best. Glenn Sacks has documented this well. You can find that here and here.